Duncan ‘Charlie’ Brown is a Russian Linguist and former British Army Intelligence Corps Warrant Officer. He joined the Corps as a military linguist and after the initial training cycle saw service in Germany with the British Army of the Rhine (BAOR) and in Northern Ireland before returning back to the UK to learn Spanish. His Spanish language and cultural awareness skills took him to Central America for 6 Months and deployment on two tours on the Falkland Islands in the South Atlantic. He advanced his study of Russian at the Defence School of Languages to qualify as an interpreter. Following further operational tours of duty, he applied what he had learned as an Instructor at the Army’s trade training school. In the later years of his Army career he joined a specialist unit responsible for conducting weapons inspections in the Former Soviet Union on behalf of the UK Government as an inspector and interpreter with diplomatic status. 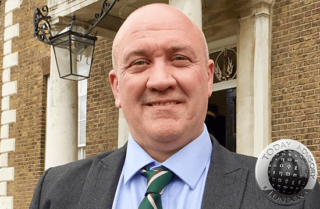 During his distinguished army career, Duncan’s military and linguistic skills made him a valuable asset and he has served with most of the UK’s intelligence and security agencies in one guise or another. As a military veteran, he went on to work in the insurance industry in London, planning and project managing the evacuation and repatriation of personnel from various hotspots around the world. He later served with the Foreign Office before becoming a multilingual liaison and risk management consultant, a role that has included working for NBC during the Sochi Winter Olympic games.